"The institution has taken away a basketball program that included both boys AND girls and have replaced it with only a boys’ program"
Being a parent is a difficult task sometimes. I have always been very thankful that I have the opportunity to raise my daughter in the rural community of Spooner. I, myself, was raised in a metropolitan area during my elementary years. I didn’t know my neighbors and every year I had new classmates. The sense of community was just not present. I have always had the utmost pride in our small community and have always been proud for my daughter to wear her ‘Rails’ apparel; it is heart-warming to see her learn side by side with her classmates in the classroom and in sports. As parents, we watch our children grow and develop. From crawling, walking, and onward you can’t help but be amazed by the development and growth that these little people make over the years. For me, as for many others, a large part of my social and motor development can be attributed to extracurricular sports. I was always very active in volleyball, basketball, and softball. These extracurricular sports helped guide my goals, taught me that I was strong and capable, helped me bond with my peers, and definitely gave me motivation to stay out of trouble. For all of you out there raising little ones, you know how absolutely important this is in this day and age. Now, as a parent, it is hard to not feel as though my community and school district has let me down. Not only myself, but they have let my daughter and every other girl in the district down. My daughter came home from school last winter (2017-2018) when she was in 2nd grade and stated that she wanted to play basketball. The years previously kindergarten, 1st, 2nd, and 3rd grade boys and girls were involved in a program called Lil’ Dribblers. This involved basic basketball skills and ended with the kids presenting a show during half-time at a Spooner varsity basketball game. When I asked my daughter if her teacher had said anything about Lil’ Dribblers, she stated: “No, but the boys can sign up”. So, I decided to investigate. I asked around and found out that Lil’ Dribblers was no longer a program, but that someone had started a program for just the boys. I had approached once of the main coaches and his response was that it was only for the boys and: “It’s not my problem if the girls don’t have a coach… at this age it doesn’t really matter anyways”; He advised me that it was the “Girls Varsity Coach’s responsibility to set up a program”. I huffed, and I puffed… and decided to think on it. I would let it go for this year. If Lil’ Dribblers was not an option anymore, I wasn’t entirely sure what my other options were. I decided to give the school and the basketball program a break, in hopes that it would resolve itself by the next year. My hopes were not answered. I picked my daughter up from school this winter (2018-2019). She hopped in my car and stated: “Mom, only the boys get basketball again this year”. She had advised me that the boys could pick up permission slips for basketball in the office (at the elementary school). Once again, I huffed, and I puffed… and I decided that I needed to do something about this. After all, it is 2019; My daughter should be allowed to play basketball. I walked into the elementary office the next day and asked the woman who works in the office for registration for 3rd grade basketball. Her response was: “Registration is only open for 3rd grade boys”. I told her: “You know this is wrong. This is the second year in a row that girls have not been allowed to play ball”. She responded: “I agree with you. I don’t have any information on girls basketball”. She then advised me, once again, that I should contact the Spooner Girls’ Varsity Coach, as he was in charge of the program and was responsible for it. My husband then had communication with the Boys’ Varsity Coach and Principal Hopke who both acknowledged that the Boys’ Varsity Coach was in charge of the boys’ program. I then spoke to the Spooner School Superintendent about the matter. He asked what I would like to see done. I told him I would like him to “figure it out” and that it was blatantly unjust that my daughter can’t play basketball because of her gender. After all, it is 2019. “If you are willing to volunteer to coach or know someone else who would be willing to coach, Please let Mr. Hopke know and he will get you connected to the right people so that the girls can have the opportunity to play basketball too”. So, if girls have busy parents, who work, go to school, or have other children, that means that those girls are at risk of not being given the same opportunity as boys to play sports? Although the Spooner School District is denying having their hands in the youth basketball program now (after being questioned), they have their employees (the varsity coaches) in charge of these programs and are promoting these activities at school, which is a federally funded institution. They are refusing to hand out registration to female participants. 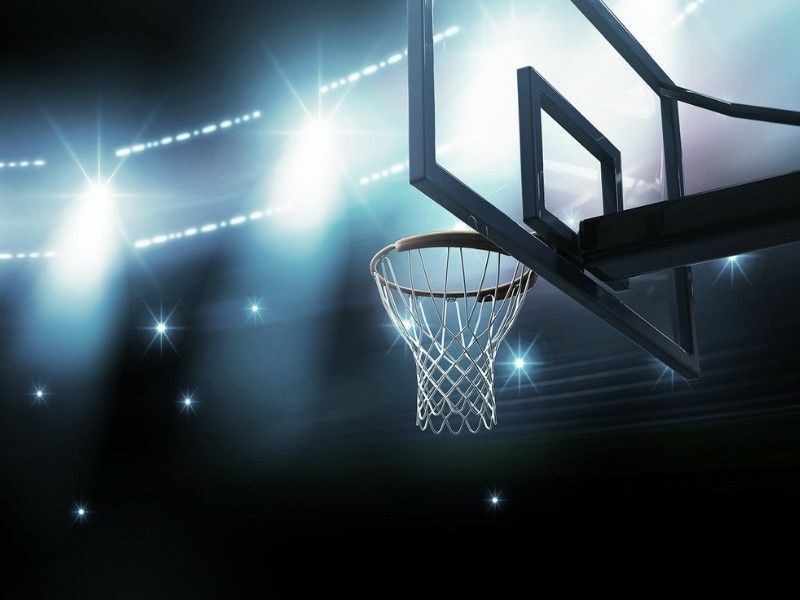 The institution has taken away a basketball program (Lil’ Dribblers) that included both boys AND girls and have replaced it with only a boys’ program. I am very pleased that the boys of the district have the opportunity to play basketball, but I believe my daughter and the other girls deserve that opportunity as well. Note: Superintendent Aslyn has responded to this Letter To The Editor which can be viewed by clicking HERE.